For those lucky enough – let me rephrase that: smart enough! 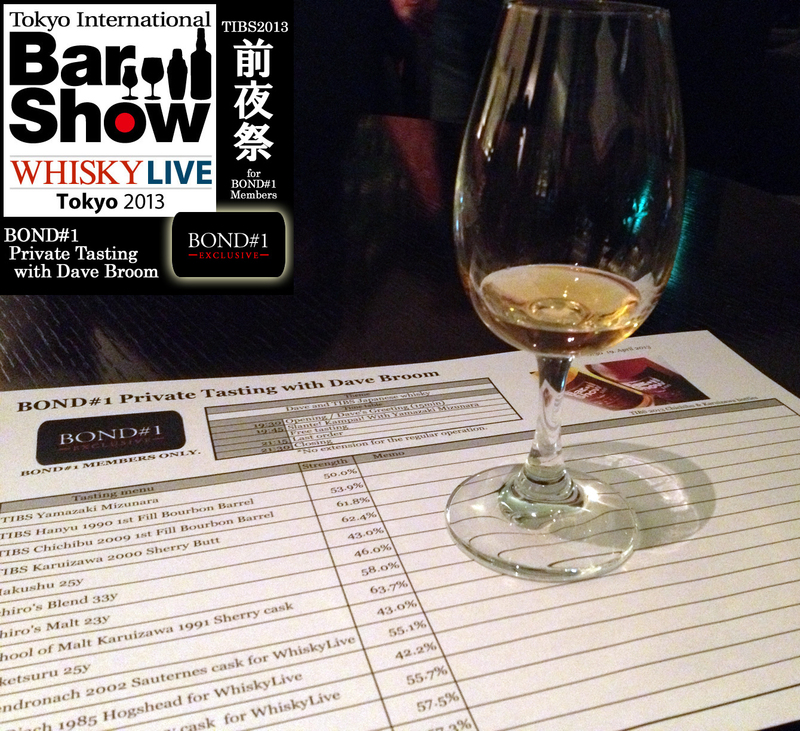 – to be Bond#1 members, the 2013 TIBS/Whisky Live weekend is a three-day extravaganza. The official avant-premiere (for Bond#1 members only) was held tonight at the Park Hotel in Shiodome. Our host, Dave Broom, had just flown in and was in fine form, as always. All of the Whisky Live special bottlings – Japanese as well as Scotch – and some high-end classics were available for tasting. 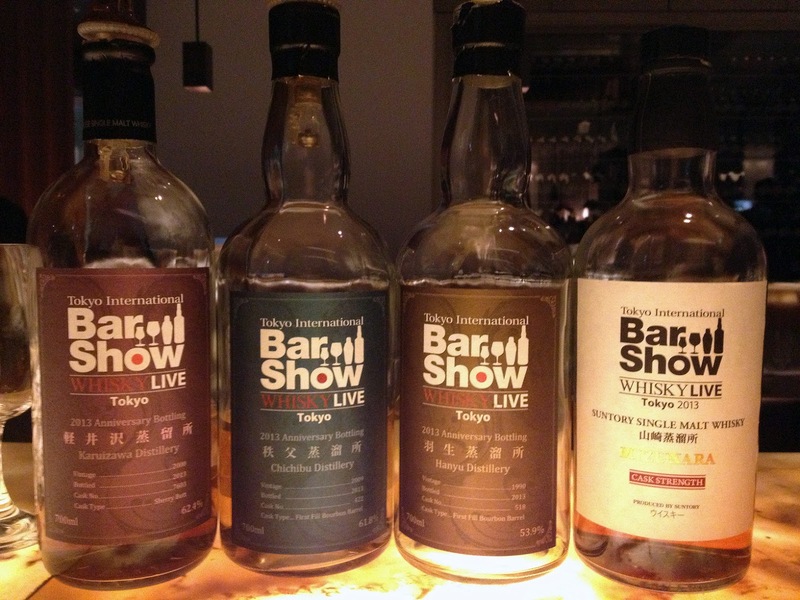 We didn’t try everything – as Dave pointed out, that would have meant a new whisky every 5 minutes and a half – but we got round to trying all of the (Japanese) commemorative bottlings and about half of the Whisky Live original Scotch bottlings. The Japanese quartet is phenomenal, as was to be expected. Of the four, the Yamazaki Mizunara – with its beautiful summer fruit (cherries, etc.) top notes – and the Chichibu made a strong first impression. There’s a little over 500 bottles of the Yamazaki – which is a vatting of several vintages (centered on the 1984 vintage, with an average age of 18) – and even though it’s a bit pricey, I don’t expect it to be around very long, once word gets around. On the Scottish front, the BenRiach 1985 Hogshead is well worth seeking out – just classic BenRiach – and the Peated Arran 2005 is a real delight – the peat is quite subdued but there’s a vegetal dimension to it that really works well. 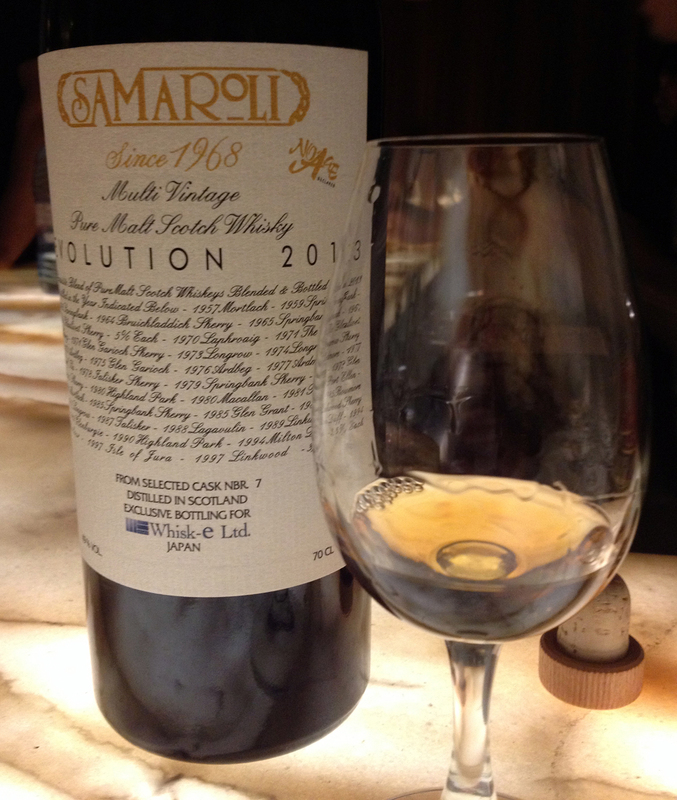 The absolute star of the evening, and not just for me personally from the looks of what little was left in the bottle at the end of the party, was the Samaroli Evolution Cask-Strength for Whisky Live. It’s not just a tour-de-force in terms of composition (the label details all of the component whiskies – it’s like a liquid history of the 2nd half of the 20th century) but it’s one of those rare whiskies that is so subtle in its intensity and so intense in its subtlety. An extraordinary piece of work.